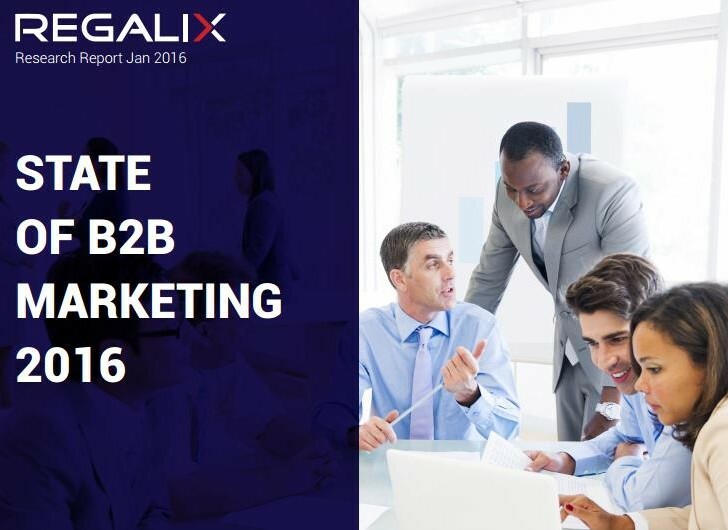 Increase in revenue and lead generation had been the marketing objectives for business in 2015. 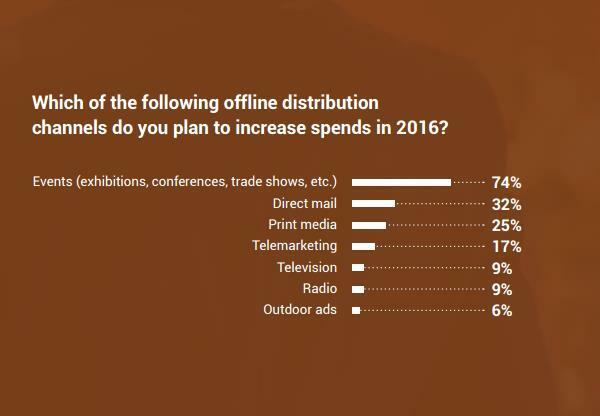 In 2016, marketing objectives have got a slight reshuffle, revenues still are the top priority but leads generation gets swapped with increase in sales. However, only 40% of organization had over the average ability in defining a focused digital strategy. More than 30% are in the process of developing and 22% have average ability in defining a digital strategy. Surprisingly, mobile continued to disappoint in terms of absolute numbers, although mobile web in 2015 (14%) scored better than it did the previous year (10%). Video advertising showed signs of resurgence, moving from a mere 5% (2014) to 14% (2015). Additionally, paid advertising seems to not have delivered. 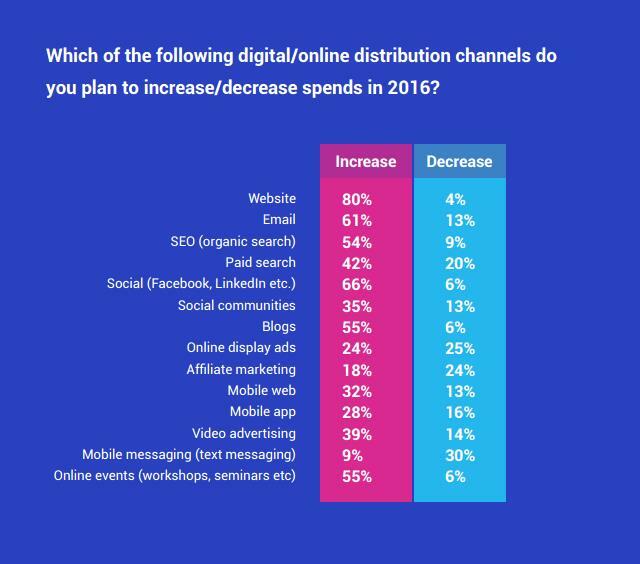 Paid search in 2015 (30%) fell short of what it was in 2014 (35%); while display ad was lower in 2015 (21%) than it was in 2014 (26%). B2B is going to be more human and shed extra business weight in 2016, after all humans are conversing with humans, even if they are sellers or business partners.